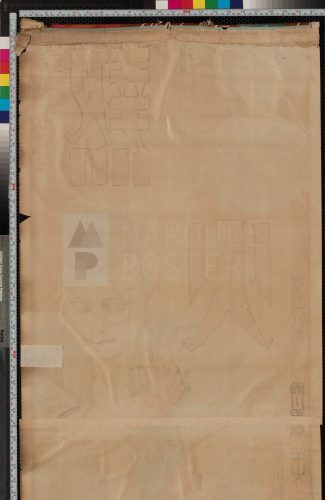 Grade: C3	Good. Folded, single-sided. 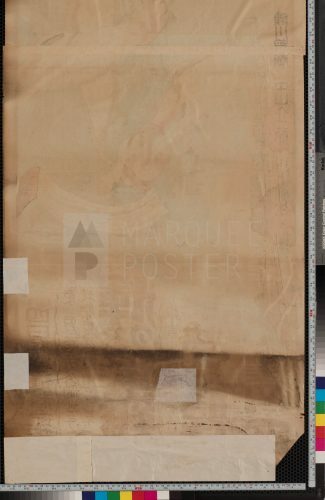 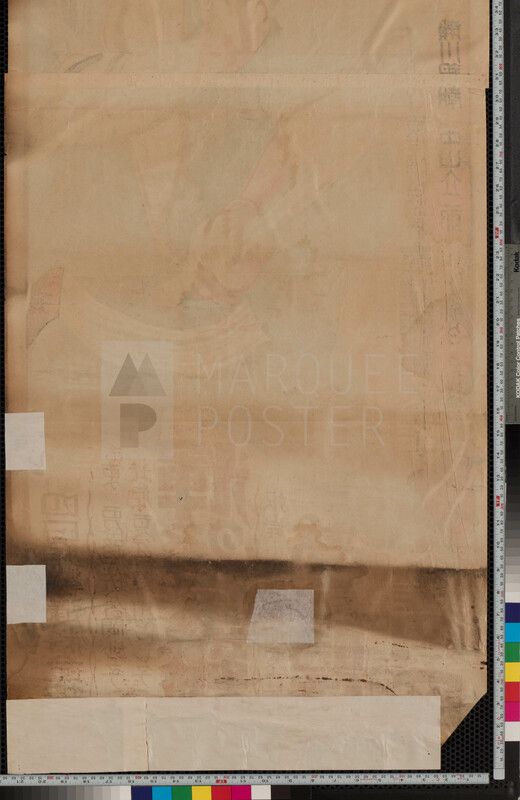 Theater used poster mounted with the top edge glued over a small wooden stick and central hanger, heavy use and wear from time/handling/storage, heavily tanned paper that is quite brittle with many areas of chipping and loss around the edges -- especially in the very bottom credits which have been taped for stabilization on the verso, likely requires restoration at some point, but is an amazing early offset print with the rich colors and intense graphics. 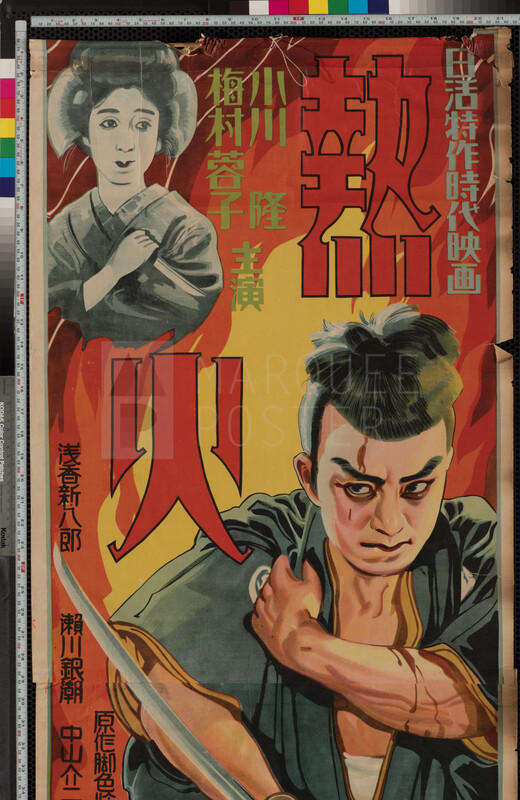 Not much is known about this early Nikkatsu silent film from 1929. 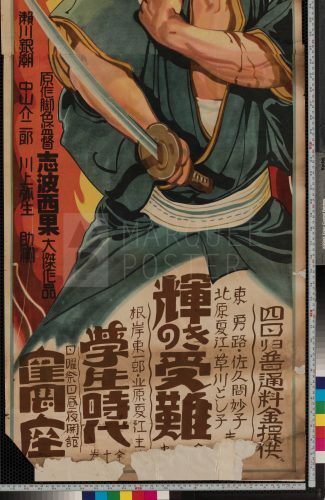 However, pre-war Japanese posters are extremely scarce and this colorful, intense original tatsumi featuring Takashi Ogawa as a samurai is no exception.